"Wrestling forum with innovative E-fed. This site has a lot that people like and more to come. Wrestling isn't the only thing we offer. Register now to see and feel the whole deal." 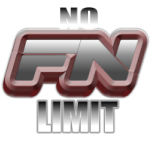 No Limit Wrestling League is a website listed on the Top Site List Planet list WWE Revolution E-Fed.